Dietary cholesterol is no longer associated with an elevated risk of coronary heart disease. The American Journal of Clinical Nutrition, has revealed that eating one egg every day is not linked with an increased risk. The link also impacts on people with the APOE4 phenotype, affecting cholesterol metabolism. The phenotype is common among the Finnish population and was previously suspected to be involved in increasing the cholesterol, coronary heart disease link. The research participants consisted of 1,032 men aged between 42 and 60 years who had no history diagnosis of cardiovascular disease. The study, called the Kupio Ischaemic Heart Disease Risk Factor study, between 1984-1989, followed the men for a period of 21 years. During that period 230 men had a mycocardial infarction and 32.5% of the study participants were carriers of the the APOE4 gene. 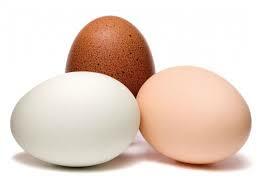 In the control group, the participants had a daily cholesterol intake of approximately 520 mg and consumed an average of one egg per day. The findings reveal that consumption of eggs, which are a significant source of dietary cholesterol, was not associated with the risk of incident coronary heart disease. There was no link established between consuming dietary cholesterol or eating eggs with thickening of the common carotid artery walls. A high-cholesterol diet or frequent consumption of eggs do not increase the risk of cardiovascular diseases even in persons who are genetically predisposed to a greater effect of dietary cholesterol on serum cholesterol levels. ← Genes influenced by food; epigenetic switches tun genes and off.